Hadn’t it been over a decade since most non-profits as well as all municipalities and jurisdictions in the Upper Santa Cruz watershed pledged their support for such a designation? And yet, despite all assurances to the contrary, some farming and ranching lobbyists did not believe that the designation was “non-regulatory.” They insisted that it would threaten or override current land and water uses by private property owners. 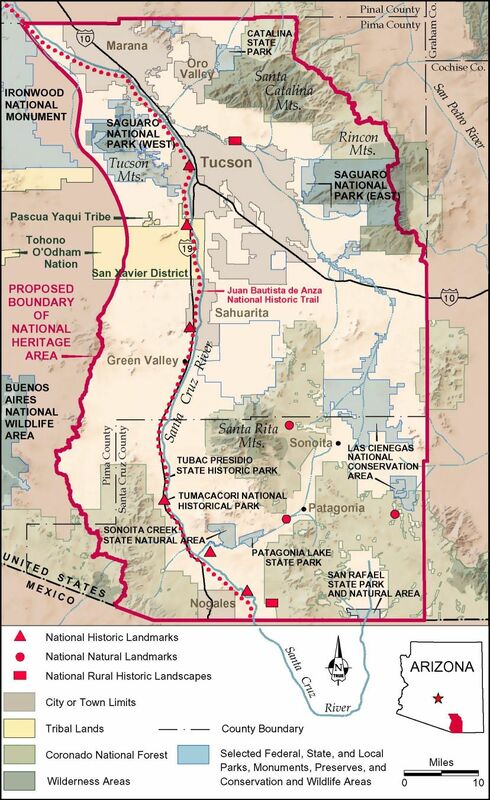 By the time Tucson itself became the first “City of Food Cultures” in the US to be designated by UNESCO in 2015, hadn’t the National Heritage designation for the Santa Cruz died on the vine, or become like a river suddenly drying up in the sand? Since 2003, communities, educational institutions, non-profits and for-profits had built considerable consensus on what could be deemed the most unique ecological, agricultural, architectural and culinary assets of our region. It took a full decade to reach “pay dirt” after the consensus-building catalyzed by Alliance Director Vanessa Bechtol and her board members from Marana, Tucson, Green Valley, Tubac, Nogales and Patagonia. 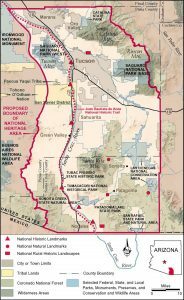 But now that a bill with bi-partisan support for the Heritage Area was ratified by Congress and signed by the President, what should we expect the official designation to offer that we did not have before? If the Tucson City of Gastronomy recognition is any model of what is to come, we should expect millions of dollars worth of fresh national and international publicity regarding both the historical legacies and the new innovations going on in our area. But over and above promoting more visitation to our region, we are likely to see more institutional commitments ante-up to try and solve the tough issues related to poverty and food insecurity in our communities. We will have a chance to do “comparative shopping” through productive exchanges on effective community development strategies already working in 54 other Heritage Areas found in 32 states. And we are likely to see more private investment in locally-owned start-up enterprises whose social values are harmonious with promoting and preserving our unique heritage. Of course, none of the tourist attractions, festivals or exhibits will have much staying power if we don’t wisely manage and fully restore our imperiled resources primarily for the betterment of the valley’s residents. No one likes a façade. Fortunately, we have seen a variety of innovative programs and organizations emerge in our watershed that are already making a tangible difference on the ground. Let me offer just one tangible example. Where I live in Patagonia, the Borderlands Restoration Network has created dozens of new jobs by working with ranchers, schools and agencies to restore watersheds and reconnect corridors of wildlife habitats in order to ensure safe havens for rare plants, pollinators, large herbivores, and charismatic carnivores. In addition, over 136 high school students in the area have participated in the Borderlands Earth Care Youth program, receiving summer wages to build structures that will reduce communities’ vulnerabilities to fires, floods and droughts. Two hundred seniors have volunteered on other projects such as native plant propagation and trail building in the 1200-acre Wildlife Haven corridor. Ironically, the very same winter that the Santa Cruz River has been nationally recognized, many of us grieved the passing of its pioneering environmental historian, Raymond Turner, who died in December at the age of 91. While co-authoring his last major book, Requiem for the Santa Cruz, Turner lamented that the river might not ever be restored to its former vitality. As many of his former students and colleagues plan to come together this month to honor Turner and his lifework in a memorial gathering on Tumamoc Hill, I have wondered how Ray would respond to the new National Heritage Area designation for the watershed he knew so well. Gary Paul Nabhan is author of two recent books, Food from the Radical Center: Healing Our Lands and Communities, and Mesquite: an Arboreal Love Affair. 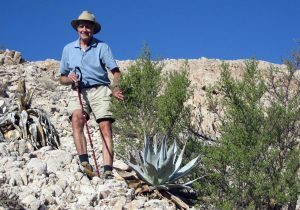 He has served on the boards of the Borderlands Restoration Network, Santa Cruz Heritage Alliance, the Tucson City of Gastronomy, and the National Parks System Commission appointed by Congress.